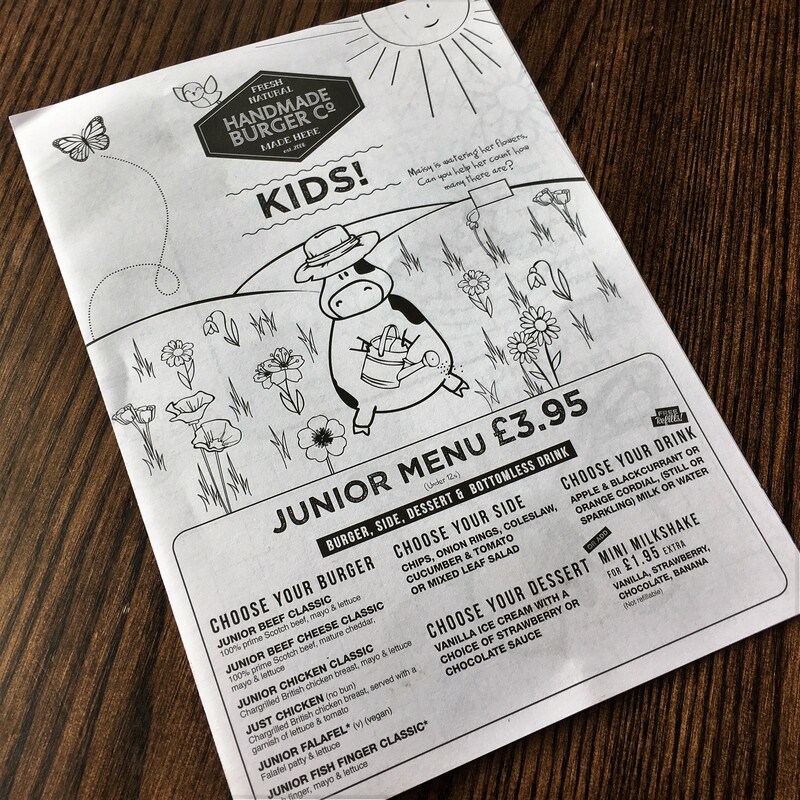 The lovely people at the Handmade Burger Co recently got in touch, asking if we wanted to give their new kids menu a try. It probably doesn’t take a genius to work out what I told them in response – not least of all because you’re about to read my review. So, on a sunny Saturday lunch time after Freddie had finished football practise, we headed down to Reading’s Oracle Centre (home of our nearest branch) and tucked-in! 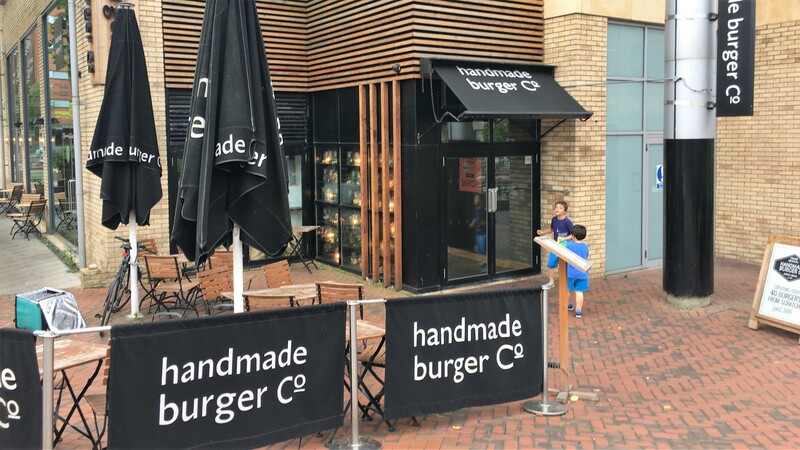 If you’re not lucky enough to have tried a Handmade burger already, I can highly recommend you rectify that at the first opportunity. We’ve been to our local one a few times now, and always enjoyed the experience. Today’s visit was no exception. 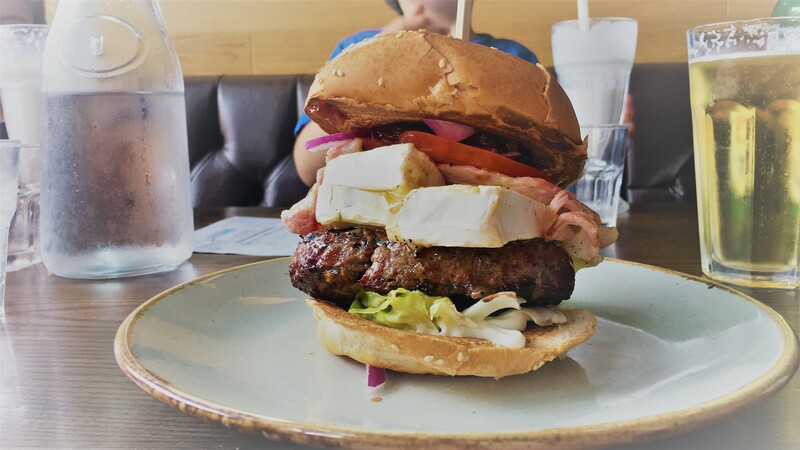 I took a tonne of photos to give you a better idea of what the restaurant is like, but obviously it doesn’t help you to tell how tasty their burgers are – you’ll need to try it for yourselves to get that detail. 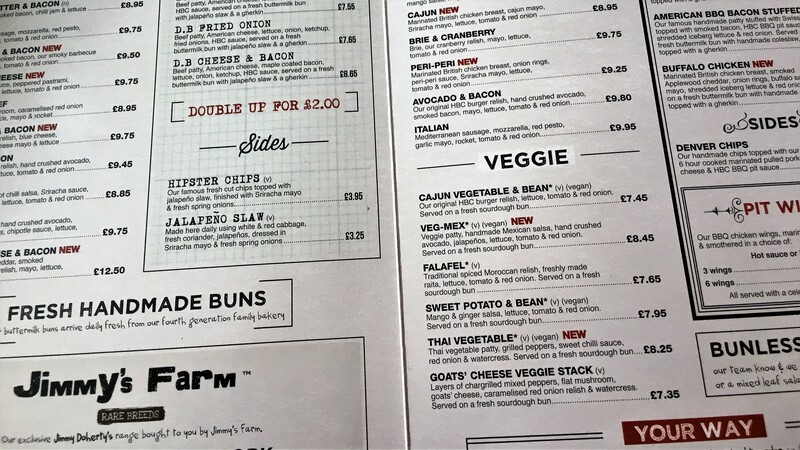 We were invited down to try the new Children’s menu, which is exactly what the kids did – unfortunately, they both chose EXACTLY the same thing, so I can only really tell you what one of the options was like! 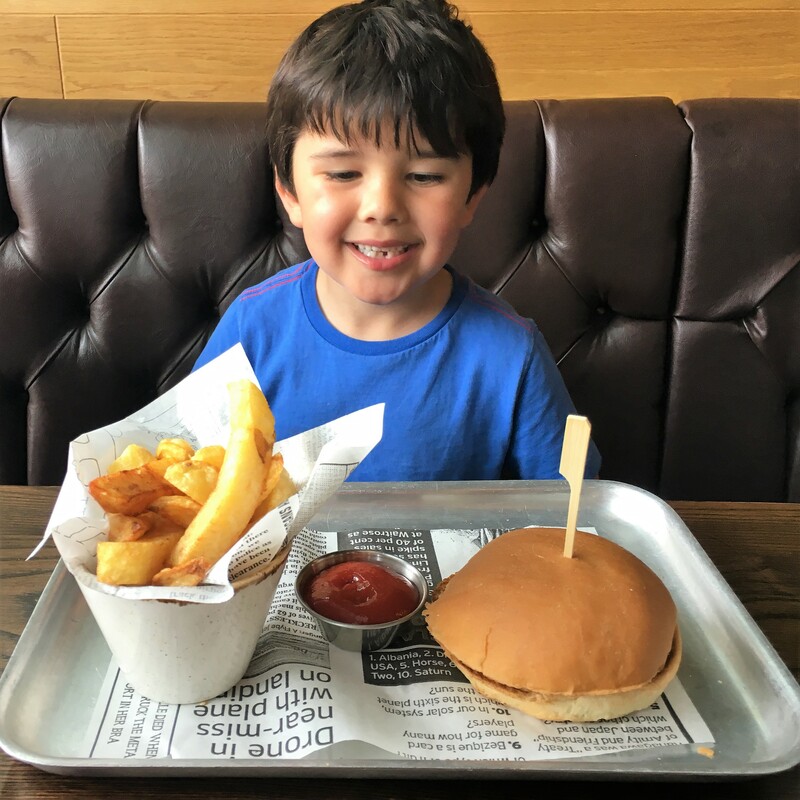 Both boys had a regular beef burger with fries, milkshake and ice cream – and I am reliably informed they were delicious. 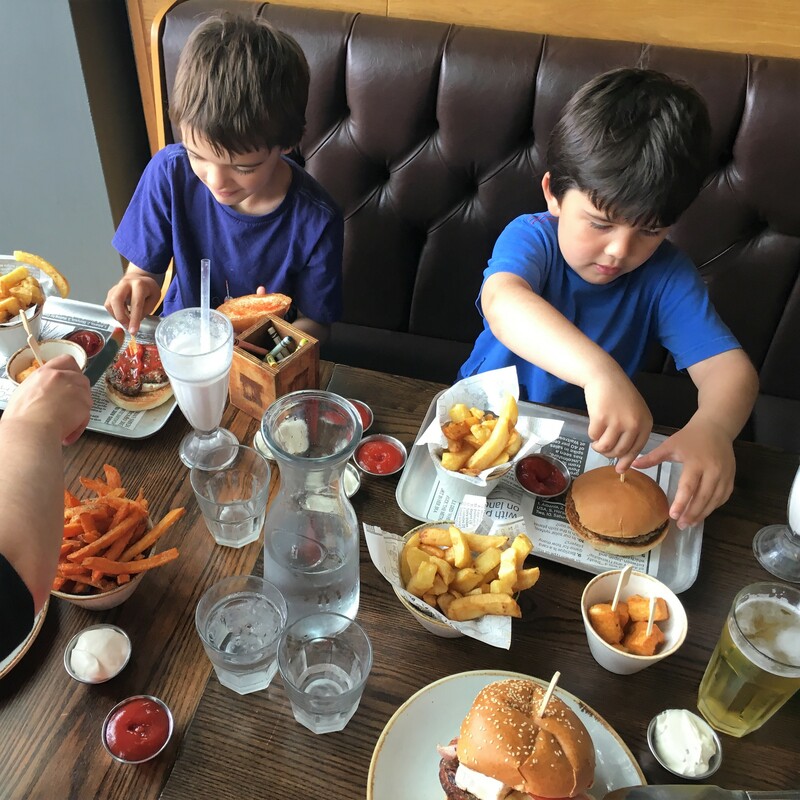 Bear in mind when you look at the photos, both boys insisted on the removal of the accompanying lettuce and tomato from their burgers – so they were actually a lot more generously filled originally! Typical kids. 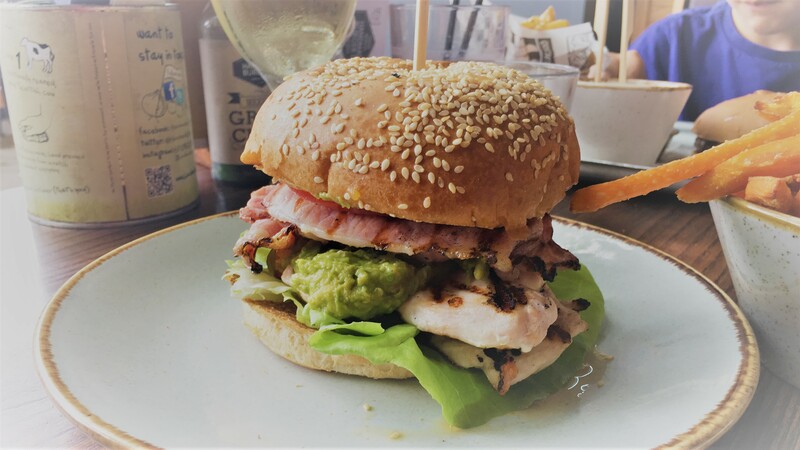 The burgers are all handmade on the premises, and there are DOZENS to choose from on the main menu – I went for a “Jimmy’s Farm” beer burger with Brie, Bacon and Cranberry, while Sara opted for an Avocado and Bacon burger, with a side of sweet potato fries. 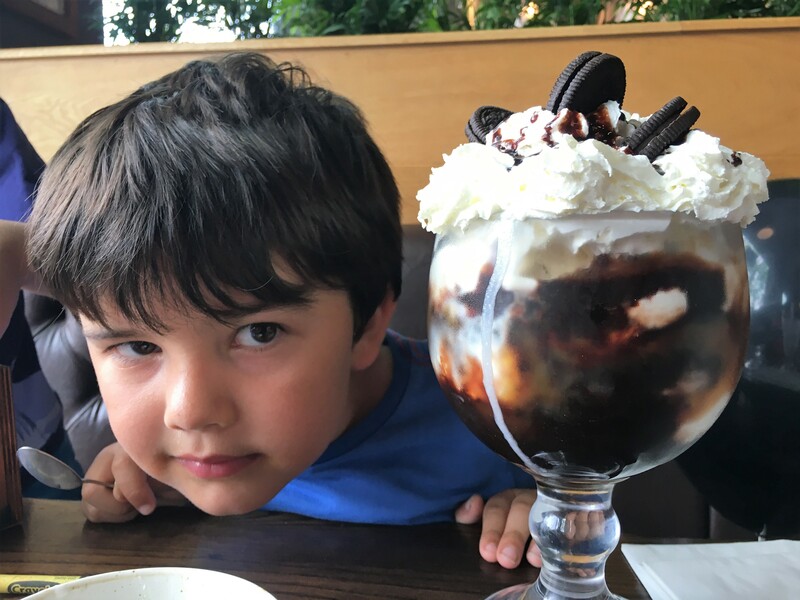 To finish up, we all had ice creams – the boys choosing boring old vanilla, while Sara and I went for grown-up puddings which were – quite literally – nearly the size of Fred’s head. Needless to say, neither of us managed to finish them. As well as amazing food, the service, staff and atmosphere are all pretty excellent. 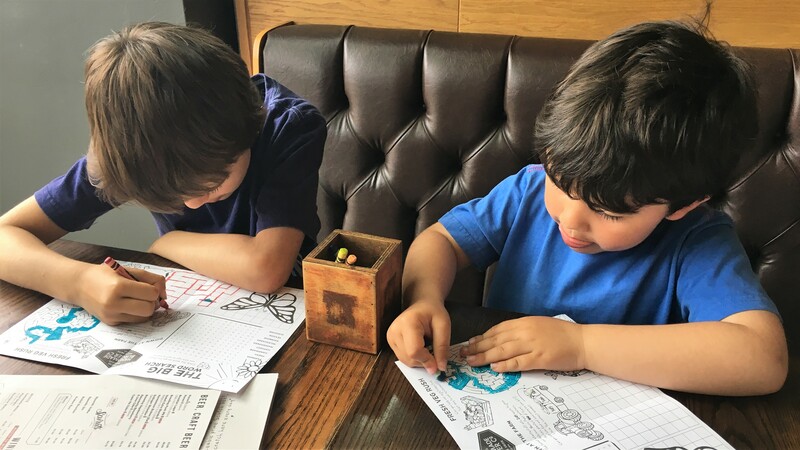 The kids menus included an activity sheet to fill in, and there were plenty of crayons on hand – it might seem like a strange thing to mention, but I’ve lost count of the number of restaurants we’ve been to where they give you two or three broken crayons, which the kids then proceed to fight over. 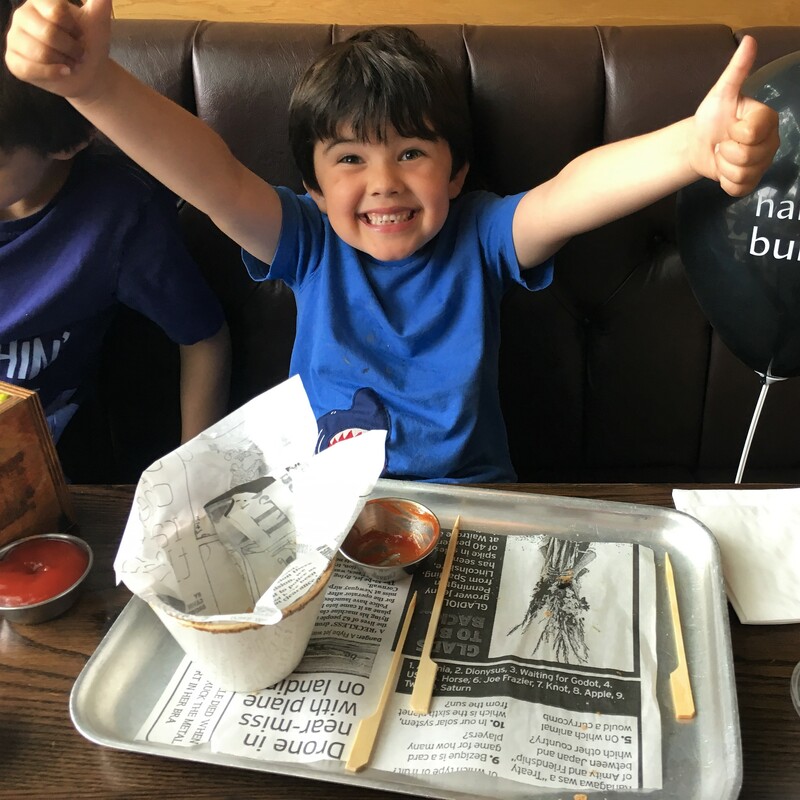 Anyway, as you can tell from my gushing praise, we all enjoyed the meal tremendously – I can highly recommend the kids menu (a bargain at £3.99!) but I recommend the main menu just as highly. As I said at the start of the post, we’ve been there before and would happily have gone again even before they asked – so this was something of an easy review to be honest. 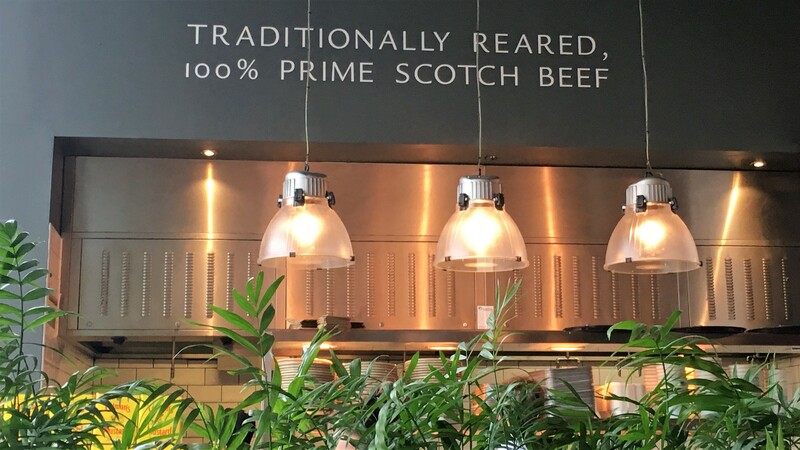 They have restaurants all round the country, so if you find yourself nearby to one (and you’ve got a suitably big appetite!) I suggest you get down there pronto.